Aeryon Scout UAV in flight. Illinois state lawmakers are seeking to further restrict drone use by unmanned-flying vehicle enthusiasts. Federal legislators have been trying to find clear, enforceable rules to guide drone pilots, and Chicago alderman have been actively looking for ways to limit drone use close to airports. A new bill sponsored by State Senator Tim Bivins is seeking to keep drones away from prison facilities. Lawmakers like Bivins are worried that contraband, such as cell phones, can easily be smuggled into prisons with the use of drones. The dilemma for regulators is to strike a balance between encouraging the use of drones and the growth of this new industry with maintaining public safety. At the federal level this has been playing out as experts propose rules that would make drones safer. One rule, for instance, would be to require that drones include technology that would keep them flying at altitudes under 400 feet. Developing a reasonable drone policy is an urgent issue as many businesses begin to embrace drones as tools to improve their services and/or their bottom lines. 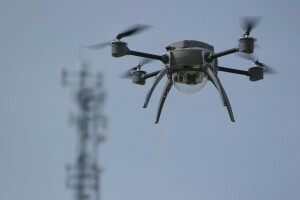 One new and interesting use of drones is being explored by the insurance industry. The insurer Allstate is beginning to look at drones as a new way to assess certain types of claims.